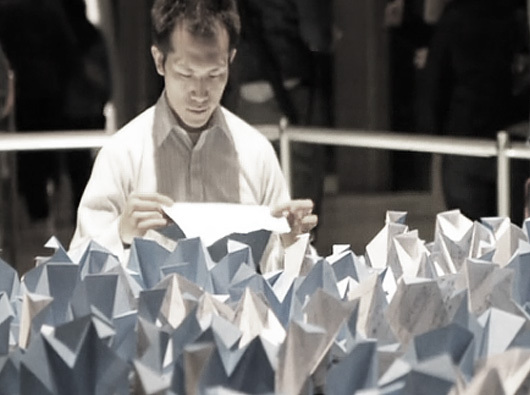 Last month, composer Martin Arnold and artist Micah Lexier joined forces to create something truly magical for this year’s Nuit Blanche (an all-night annual contemporary art event). Above: Inside the Crystal Cathedral of Commerce, Toronto. The Inspiration – In 1893, French composer and pianist Erik Satie wrote a piece called ‘Vexations‘. With it came instructions to suggest it be performed 840 times in succession. Satie never published or performed it in his lifetime. Actually the piece was first published some 56 years later, and with it sparked a few marathon performances, by composers inspired to take on Satie’s musical challenge. So for this event Martin Arnold orchestrated two pianists to play the piece, simultaneously on two pianos, for a period of about 12 hours. Each piece took 90 seconds to play, each pianist played it 420 times – meaning it was performed 840 times as Satie once proposed. Wooaah! Enter Micah Lexier. His desire, was to give the music form. 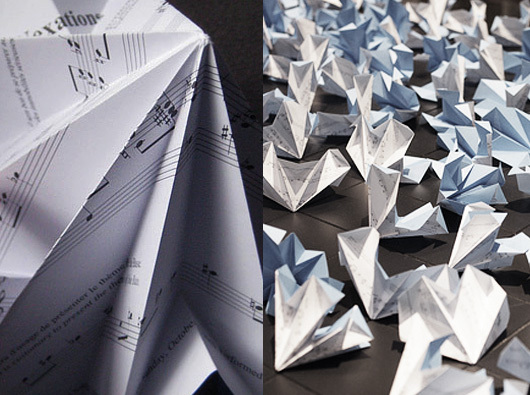 He created this beautiful idea to transform all 840 copies of the score into these small origami objects. 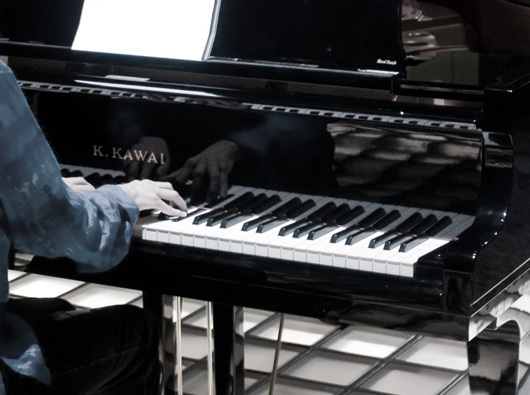 Each pianist set aside the score as it was played out. One by one the sheets of music were carried to a table where they were folded and placed in a 10 x 84 grid – so the audience knew how far along the performance had come. 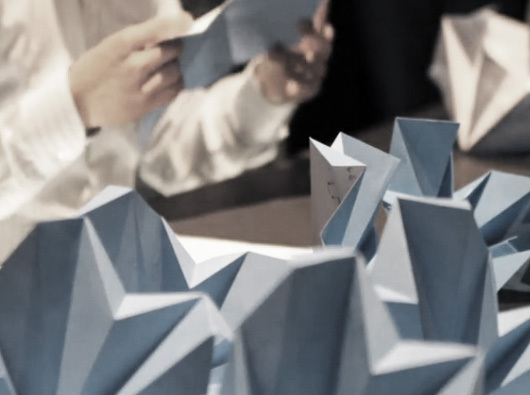 The actual folded design is by Cybele Young and each sheet was die-cut, scored and designed to be able to be folded in just 90 seconds – the same time each piece took to play. Oooh, how I wish I could have experienced this up close! What a beautiful, beautiful performance. It went all-night long and into the early hours of the morning – sheet by sheet, fold by fold. Just brilliant.